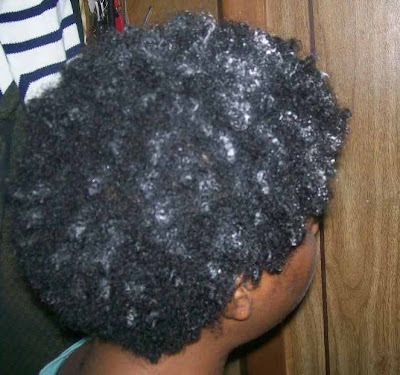 FroStoppa: Ms-gg's natural hair journey and natural hair blog: Relax, Relate, Release! So I told you guys that I was not feeling the idea of putting in my mother's perm for her. I was up in my room, taking down twists with my conditioner and water, figuring that I would do that first, then I would go ahead and be a good daughter and do the perm for her even though I don't want to. You only get one mama and you better treat her right! And then I heard my name being called. It sounded like my mother. Ugh! I was not ready to put the perm in yet. I was having one of those OCD anxiety moments where I could imagine the perm somehow cross contaminating my virgin hair through my fingernails. I also had this fear of some of the perm splashing around and a big glob accidentally landing in my fro leaving me with a funky style only Rhianna would wear. I wanted my hair on LOCKDOWN when I was going to touch that relaxer, the nappy hair (and juice curl) armor of protection: a shower cap. So I slung my shower cap on my head and peered down the steps. And to my surprise stood my big sister! What a relief! She came to put the perm in for my mother after all! So this nappy's hands were wiped clean of the chemical relaxer, and my mother got her fresh perm in which I talked her into not blow drying while it was still wet, but rather braid it up and let it air dry. Everyone walked away happy.